Comprehensive Pain and Spine Associates utilizes a comprehensive approach to pain management for both acute and chronic pain. Our approach is based upon improving function and quality of life while helping patients to control their pain. Our holistic approach utilizes a combination of exercise, osteopathic techniques and diet to complement medical and interventional pain management skills. Our office is conveniently located in the Arboretum Office Park at the intersection of Pineville Matthews Road and Providence Road. Dr. Berliner served as chief resident while completing his residency in Physical Medicine & Rehabilitation at the University of Miami/Jackson Memorial Hospital. 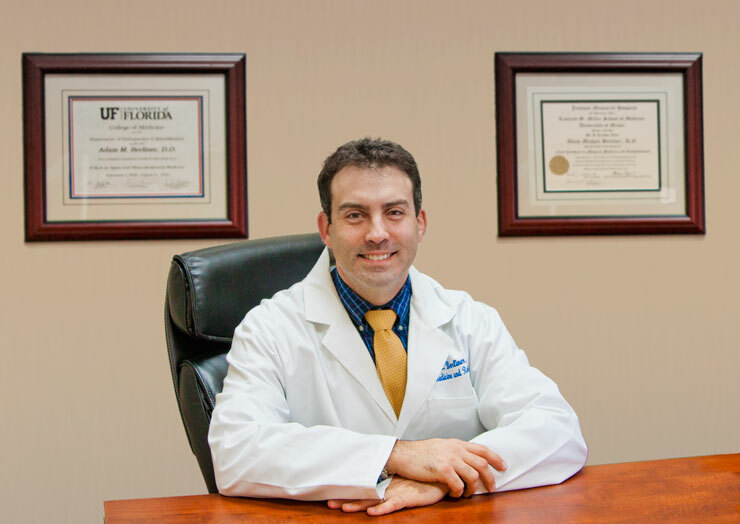 Dr. Berliner then completed his fellowship training in musculoskeletal medicine and interventional pain management at the University of Florida Shands Hospital. Dr. Berliner's knowledge, experience and compassion are a great asset to his patients. Unfortunately we have to hide our email address to prevent excessive spam.